Parent Aid is a free at-home service for parents – we give parents a hand when they have their hands full. 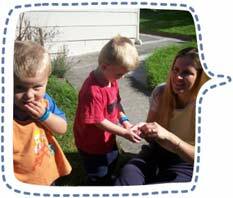 The service covers the north-west region of Auckland for families with 0-5 year old children. At Parent Aid we know that looking forward to the birth of your first child can be both exciting and nerve-wracking. Once the baby is born, all of your energy will go into looking after baby, recovering from childbirth and catching up on sleep! First time parents are entitled to 8 hours of free at-home help as soon as your baby is born. Mums often use this over 4 visits (2 hours each) providing them with regular support when needed. Households with preschool children are always busy and even busier when there are older siblings as well. Parent Aid is able to provide up to 12 hours at-home home help for families with at least one child under 5 years. Mums often use this over 4 visits (3 hours each) providing them with regular support when needed. Being the parent of twins or triplets can be extremely busy particularly during the pre-school years. For many families with multiplies there are also other siblings stretching the parenting demands even further. During the babies first year, Parent Aid is able to provide up to 240 hours at-home service for parents of multiples who also have a toddler at home. As parents, we understand how busy family life can be and that every good parent needs a hand now and then to continue to be a good parent. We also know that providing support within the family home is best for everyone, which is why we offer an at-home service. The Parent Aid Home Support Worker comes equipped with a large box of educational and fun toys and is ready to assist with light household tasks around the house to give mum or dad a break. Meals can be made and frozen, and vacuuming and laundry done to lighten the load. Parent Aid is a not-for-profit organisation that recognises how important parents are to a healthy New Zealand. Since 2002 we have provided free home help to parents living in north west Auckland with a new baby or preschooler. Our staff are all experienced parents themselves who understand the joys and demands of parenthood. They are fully trained in first aid and come prepared to assist in the home with tasks from preparing meals, to light household jobs to childcare. Parent Aid is a registered charity (CC20276) that receives funding from trusts such as ASB Community Trust, Auckland Council - Rodney & Hibiscus Coast Subdivision Local Board Funding Subcommittees, Catholic Caring, Department of Internal Affairs - COGS, Helensville Birthing Centre, Lotteries Grants Board, Ministry of Social Development. It is through the generosity of these funders and donations from others that we are able to provide a free service to the community. To book, is as simple as giving us a call on 0800 222 402 or book online at www.parentaidnorthwest.org.nz/contact/ and we will respond to your request as soon as possible. It's free, it's easy to book and we love to help!